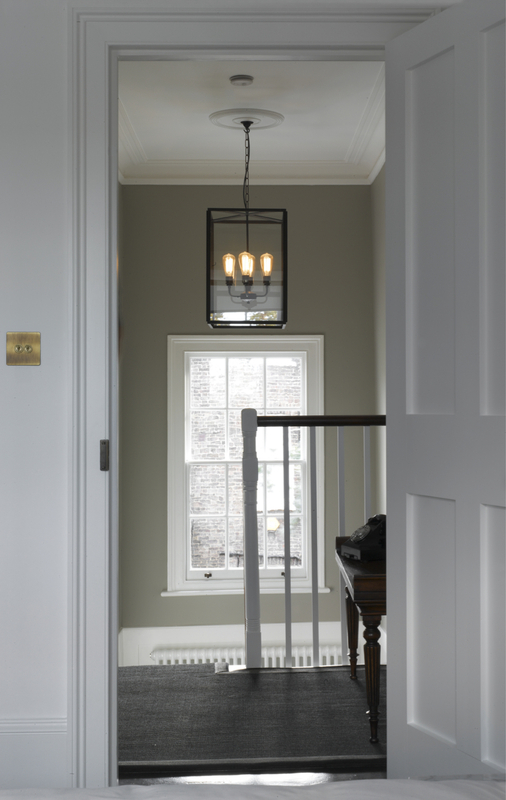 Malcolm Fryer Architects were appointed by a private client to restore and extend a Grade II listed early Victorian townhouse to provide flexible family accommodation and a large office space. The project involved a painstaking restoration of the original house based on available evidence, along with a distinctive two storey contemporary addition to the rear. A strong connection has been created between the house and garden through extensive glazing and a simple reconfiguration of the basement stair. A new bathroom within the rear addition has been glazed on three sides to provide a luminous bathing experience overlooking the garden. MFA worked very closely with the client to create a home that could easily adapt into the future A new basement stair was introduced from the street to enable the home office to operate independently and 21st century technologies were introduced throughout the house. Extensive thermal upgrading of the historic fabric has substantially improved the environmental performance. Items of new furniture have also been designed and commissioned by MFA. Project Profile available for print and download here. Photography by Max Creasy.